The 2019 schedule of classes is up! Check out some of the new classes we added for this year! We are still on hold for opening our first retail store for outdoor related merchandise, called The WITS Outdoors Store. I'll be sure to make an announcement when it's a go! The WITS Outdoors Store will be located in Southern Clinton County, PA. Check out the site WITS Outdoors and click on Retail Store, for all the info and updates. 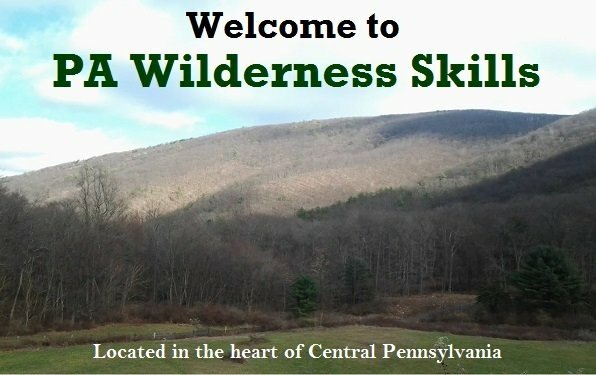 We will be holding a WITS Outdoors weekend training class in April 12-14, 2019 in Hyner, PA. Check out the WITS Outdoors website and click on Training for all the info on our training classes. Uitwaaien! Central PA's annual bushcraft gathering. Make sure to 'Follow' the Uitwaaien Facebook page to keep up to date on 2019's event! The event webpage www.pagathering.com is updated with all the details, so far! We'll be adding more info as soon as it comes in!